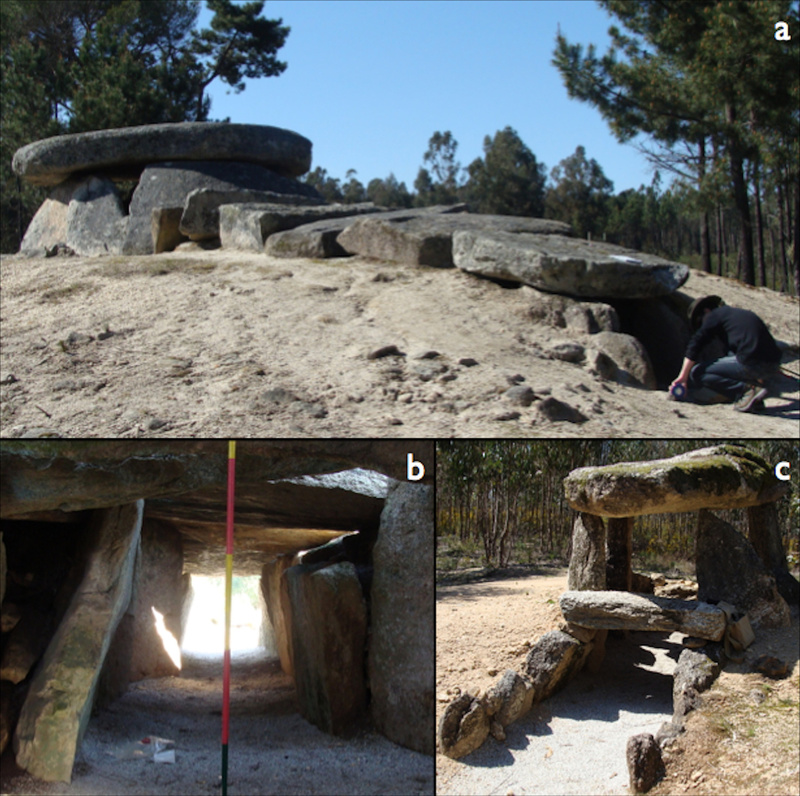 Photographs of the megalithic cluster of Carregal do Sal: a) Dolmen da Orca, a typical dolmenic structure in western Iberia; b) view of the passage and entrance while standing within the dolmen’s chamber: the ‘window of visibility’; c) Orca de Santo Tisco, a dolmen with a much smaller passage or corridor. Click the montage for a larger version. Image credit: F. Silva. 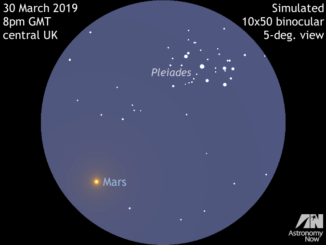 Astronomers are exploring what might be described as the first astronomical observing tool, potentially used by prehistoric humans 6,000 years ago. They suggest that the long, narrow entrance passages to ancient stone, or ‘megalithic,’ tombs may have enhanced what early human cultures could see in the night sky, an effect that could have been interpreted as the ancestors granting special power to the initiated. The team present their study at the Royal Astronomical Society National Astronomy Meeting, being held this week in Nottingham. The team’s idea is to investigate how a simple aperture, for example an opening or doorway, affects the observation of slightly fainter stars. They focus this study on passage graves, which are a type of megalithic tomb composed of a chamber of large interlocking stones and a long narrow entrance. These spaces are thought to have been sacred, and the sites may have been used for rites of passage, where the initiate would spend the night inside the tomb, with no natural light apart from that shining down the narrow entrance lined with the remains of the tribe’s ancestors. 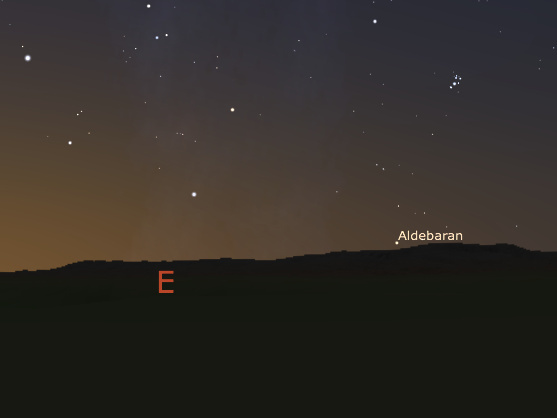 The view towards the east from the Carregal do Sal megalithic cluster, at dawn at the end of April around 4,000 BCE, as reconstructed using a Digital Elevation Model and Stellarium. Aldebaran, the last star to rise before the Sun, is rising directly above Serra da Estrela, the “mountain range of the star.” Image credit: F. Silva. 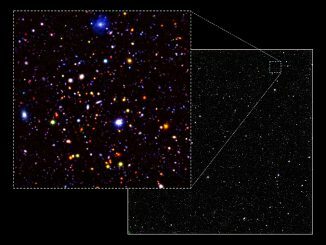 Astronomers today (28 June) released spectacular new infrared images of the distant universe, providing the deepest view ever obtained over a large area of sky. 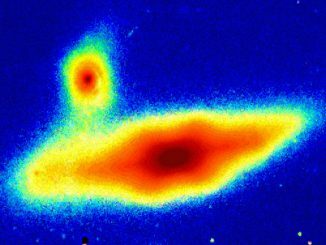 The release of the Ultra-Deep Survey (UDS) represents the culmination of a project using the 3.8-metre United Kingdom Infrared Telescope (UKIRT) on Hawaii, building up more than 1,000 hours of exposure time.